I realize it’s more than a little ridiculous to combine the jokes of beloved Andy Bernard (see blog title above) from The Office with Schopenhauer, but thus is the simultaneously academic and pop-culturally coded life led. Plus, even though this day has been insanely productive–I did the dishes, wrote the writing assignments for the next three classes, read for tomorrow’s class, read about both Sologub and Bal’mont, took care of some emails, had my first day of tutoring, which seems like it’s going to be a lot of fun–the prospectus is not coming together; so, not at all surprisingly, my mood is not as cheery as it might be. *sigh* There are moments when I wonder how many years stress has cruelly stolen from my life…? Academic writing, my friends, can really be the pits. That, however, is exactly why one might choose to bake a cake. And not just any cake, but a beautiful and heavenly Chocolate Stout Cake. Though I’ve never really been a fan of beer (I have my moments, but it’s not and probably never will be my alcoholic drink of choice), something about this cake–the very concept of cooking with beer–really tempted me. 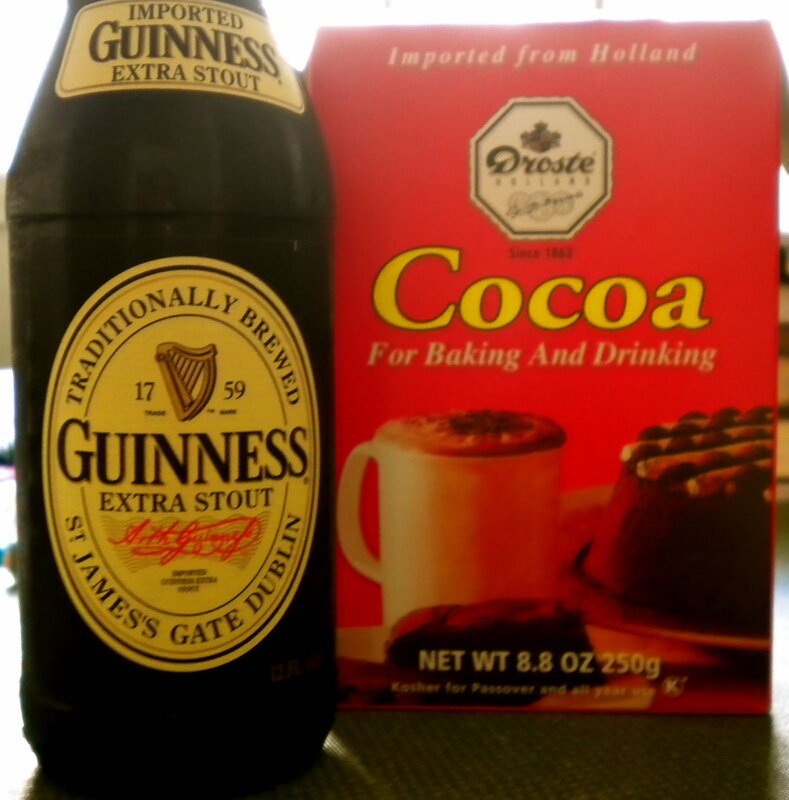 The temptation didn’t even stop with adding Dutch press cocoa to two sticks of butter and beer in a saucepan; during the baking act, I was even compelled to drink the rest of the bottle of Extra Stout Guinness…and enjoy it. Maybe it was because it was incredibly unpleasant to turn my oven up to 350 degrees when it was 95 and sweltering outside. Or maybe I needed something to take the edge off of the stack of student papers (nobody likes grading; it’s mean and it brings out your dark, overly critical side). The reason really doesn’t matter; it was just the thing. 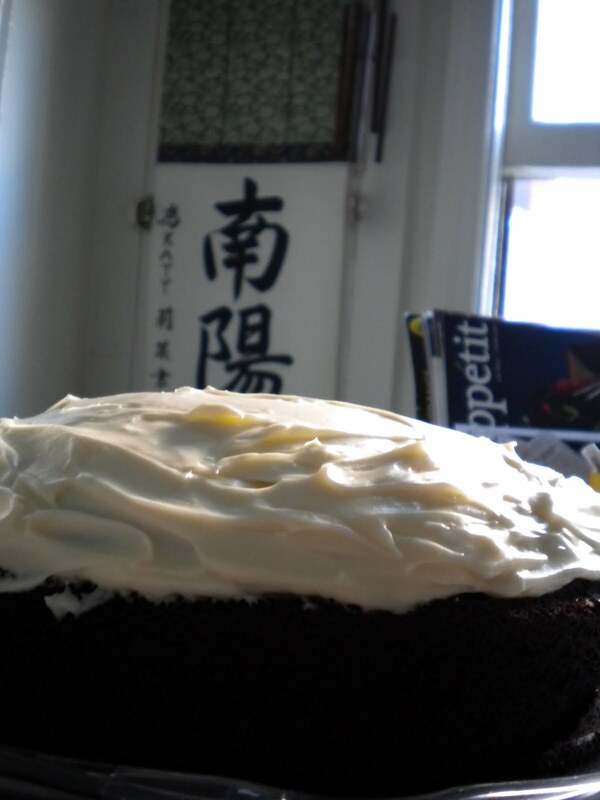 Perhaps my prospectus both barely exists and seems to lack either historical or theoretical grounding, but does it even matter when there’s always the possibility of chocolate cake with cream cheese frosting waiting in the wings? I may just have to bake another cake to take with me to my meeting. Shameless bribery or eternal wisdom? You decide. Then again, it could be just like baking for my own wake (I know, I know, I will tone down my melodrama. When I next post, I will be prospectus free and insanely cheerful; just wait and see!). Heat oven to 350 degrees. Butter a 9-inch springform pan, place a round of parchment paper on the bottom and butter it, then flour the pan. -Place the stout and butter in a medium saucepan over medium heat and bring to a simmer. -Whisk in cocoa powder until mixture is smooth. -Thoroughly combine flour, sugar, baking soda and salt in large bowl. – In another bowl, beat together the eggs and sour cream until well-blended. – Add stout-chocolate mixture to egg mixture and beat just to combine. -Add flour mixture and beat briefly on slow speed. -Finish mixing by folding batter with a spatula until completely combined. 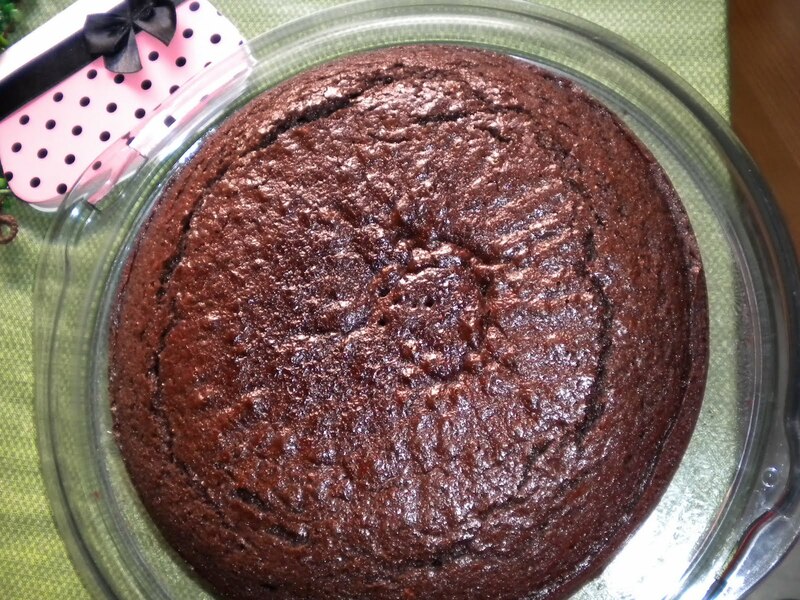 -Pour batter in the springform pan and bake cake until a toothpick inserted into center of cakes comes out clean, about 40 minutes (**NOTE: Even with an oven thermometer that guaranteed that I was at exactly 350, I had to bake my cake for at least 45-50 minutes for the center to set. I recommend that you check the cake at about 38 minutes and see how it’s progressing since oven temperatures can vary). -Place cake on a rack and cool for 10 minutes, then remove the sides of the pan and cool completely. -Beat together the cream cheese and sugar. -Add cream and vanilla and mix. -Spread icing on top of cake to echo the appearance of a glass of Guinness and its head of foam. Sorry to hear about struggles with your prospectus, but soon enough it will be done! Also sorry about the heat. I can sympathize! Yes, you're right. I'm just being a bit pessimistic… and also whiny 😉 Once I get further along in the cooking apprenticeship with my Russian fam I'll let you know about a guest blog!